Michael Fox is a history teacher and Megan Freund is an English Language Arts teacher. They both teach at the Anderson School in New York City. 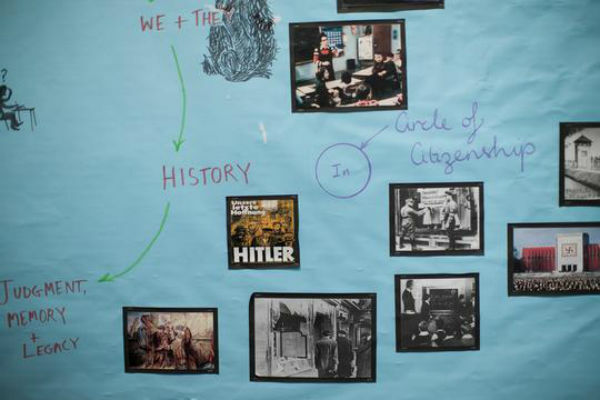 Two years ago, the Anderson School in New York City partnered with Facing History and Ourselves to bring the Holocaust and Human Behavior curriculum into our eighth grade Social Studies and English Language Arts classes. This period of history is so widely studied but often the dark nature of it is hard for young students to grasp. That’s why we were excited to bring an interdisciplinary approach to our students’ learning that not only taught them the basics of the history but also engaged them on a deeper level of reflection on issues in their own lives.